How did the U.S. government and controlled mainstream corporate media accomplish this false flag hoax? Most false flag operations are live terror drills, just as the Boston bombing was also a live terror drill that was intentionally staged for corporate media. Note: This article is best viewed on desktop/laptop computers. Videos may not work on mobile version and if embedded link does not display a video, then click on the source below the video. For this event, the government used their amputee crisis actors that train soldiers for combat. Amputee actors help soldiers prepare for war and it’s hyper-realistic. 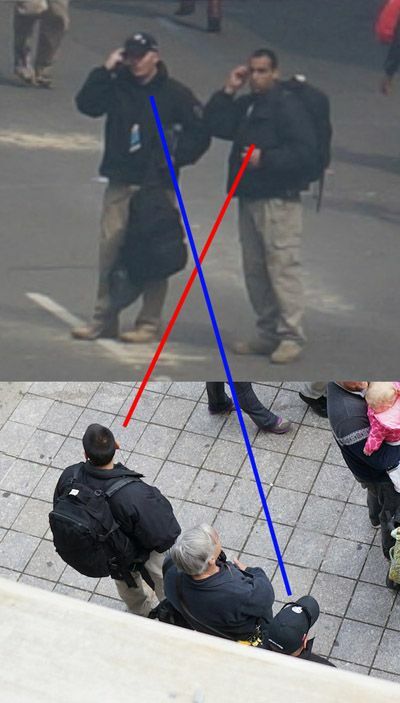 BOSTON BOMBING – Did you notice this? 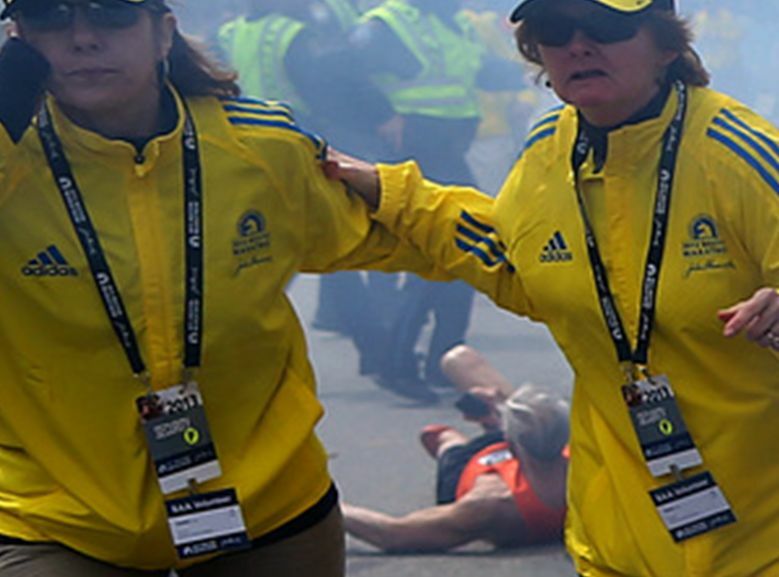 A news station interviewed a Boston marathon runner who claimed to have seen bomb sniffing dogs, spotters on roofs and heightened security prior to the explosions. He also reported that officials were yelling “This is just a drill!” after the first explosion. This crisis actor needed some last second alterations before his photo shoot. Take notice on how this crisis actor walks completely fine to the fire truck compared to how he walks after he gets his outfit ready for the cameras. Logic alone should tell you that if he truly got blasted by shrapnel he wouldn’t be walking around normally, because if it were real he would have been rushed immediately to the ER. This lady has also been interviewed at the Sandy Hook hoax as well. BUSTED!!!! Also watch: Crisis actress BUSTED Adriana Victoria Muñoz fully EXPOSED! Eyewitnesses to both of the Boston Marathon bombs confirm that pyro simulators were used to fake the explosions. This shows how dramatic looking effects were produced without any danger to the waiting actors at the scene. 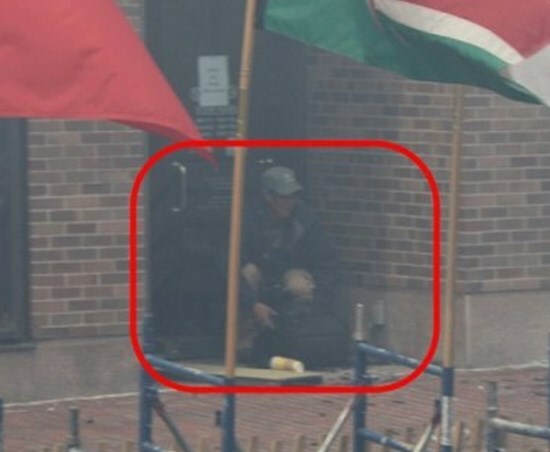 Strategic Operations was the contractor admitting to working with the perpetrators within Boston government at the “Urban Shield” exercises, and was almost certainly involved in supplying the special effects for the Marathon as well. Compare the Strategic Operations effects with the physical evidence in photographs from the marathon and the accounts of eyewitnesses, and you have a perfect match. The perfectly unharmed flags do not have any markings of a so-called shrapnel blast. Plus the two women in the front are operatives and are acting the false flag out; are not frightened in the least. Notice their DHS badges prominently displayed. These three were presented to us as the first responders at the Sandy Hook hoax! From left to right: Michael McGowan, David Enllgren and Liam Seabrook. We see some interesting footage showing Special Security in Yellow stopping any REAL people from getting close to the scene of crisis actors. Seems like the cops do nothing but keep real people away allowing crisis actors to just stroll into the scene to be nothing more than useless actors. These civilians should be kept away and real paramedics let in but we see just the opposite. The civilians pretend to be useful but do absolutely nothing. Classic example is Carlos Arredondo. This whole event is a STAGED HOAX…a very poor one at that and yet Americans fall for this garbage. Notice that there isn’t a blood trail nowhere on the pavement. It’s not even tied off, it’s suspended via gravity, which would literally do nothing to an arterial sever. There’s no pressure applied. There’s no knot with a turn stick for leverage. You can clearly see a gap in the nonexistent wrap job on his left inner thigh (left anterior proximal for you experts). His hands have no blood on them. There’s no blood on the ground. The color in his hands and lips shows good circulation. Here in frame six on the left we see the man with a hood setting up the fake leg wound prosthetics. His attention and hands are right there. The woman is acting as a shield covering what’s happening. Here in frame eight the prosthetics are in place. Amidst all this chaos, seconds after the explosion, the hooded man takes the time to put on his sunglasses which is a signal. Here in frame nine with sunglasses now on, the hooded man and the woman make eye contact, signal received. In frame eleven, after receiving the go signal, the woman makes an open hand gesture, the direction both of them are looking, signaling the staged injuries are in place for cameras. The prone amputee raises his left prosthetic injury into the air over the woman’s shoulder. No blood is present. The bone is dry, no blood on his leg above the knee, no blood on the woman, no arterial spurt, nothing. Here in frame fourteen, the woman turns her head right but is still holding up that open palm signal with her left hand. The hooded man again busied himself pouring fake blood on the pavement behind the woman. The amputee has both fake injuries in the air now. There is still no blood on his legs, his skin above the injury is clean and dry. These are actors. This is staged. It was flash powder. There was no crock pot nail bomb. If you’re looking for a gunman, look at the Army in the streets of Boston. Share this knowledge with everyone. When have you ever heard of someone with a blown off leg not bleeding? Some make the claim that it was cauterized, but obviously, the picture of them wheeling the guy out on the wheelchair shows ‘blood and gore’ (a cauterization is a burn that seals the wound). 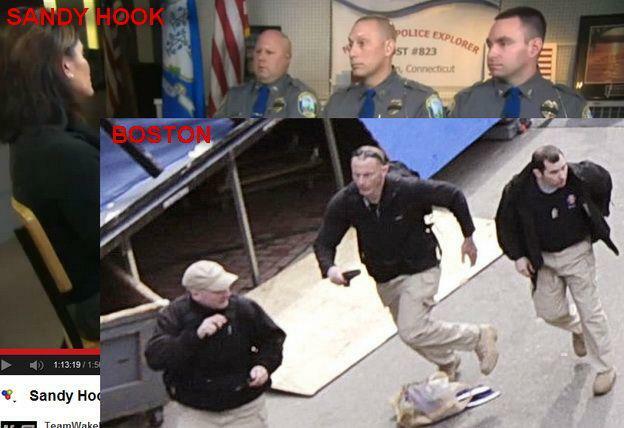 Something changed between these images and when they wheeled him out in front of the cameras. This image was taken by a third-party photographer seconds after the first explosion. There is clear evidence of false flag staging here. The man in the red coat and baseball hat on the right is kneeling down giving directions to the guy in the white T-shirt. Also looking to this pair for direction are the woman sitting to the right and the man in a hood and sunglasses who set up the double amputee prosthetics. The man with the hood and sunglasses, who was just sitting up looking fine and healthy after fixing up the amputee actor’s prosthetics, is now on his back being evaluated by two people. Notice the rips in his jeans have no sign of blood or injury on the skin. The woman with red hair however is in the exact same pose as a minute ago. Meanwhile the double amputee actor is completely ignored by everyone when he is clearly in the most dire need of attention. There is a small amount of fake blood around him where the African lady shielding him used to be, she has disappeared. What happened to her? Compare this photo with the first in my post. In a real medical scenario the amputee would receive immediate treatment or die from bleed out. The fact this actor woman is removed from the scene via stretcher while the double amputee is left on the ground is ludicrous. He would be dead from blood loss before they could even begin spinal assessment procedures involved in moving a patient to a stretcher. Not to mention his blood loss would be over five liters, enough to cover the entire scene around these people in a thick puddle. From the overhead images taken of the explosion scene we work out the exact time they were taken. From this we prove 100% that this whole event was staged with crisis actors. Governor of Massachusetts Deval Patrick’s Heartbreaking Reaction to Boston Bombing! The whole purpose of this false flag hoax was to pass executive orders for more control and power over the American people. Boston Bombing COMEDY SHOW BUSTED WIDE OPEN!!! – ‘Blood Powder’ Showers!